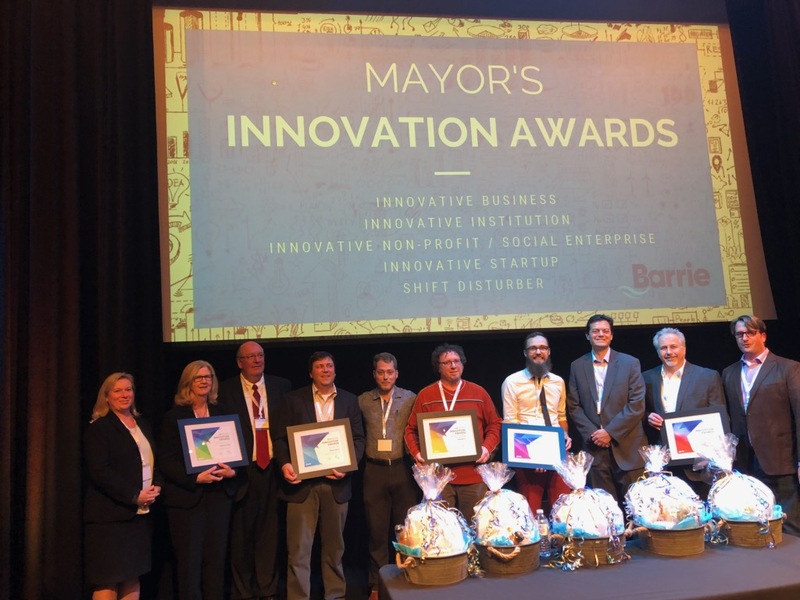 On Wednesday, October 24, 2018, Tandempark was presented with two of the inaugural Mayor’s Innovation Awards at Xcelerate Summit in Barrie, Ontario. 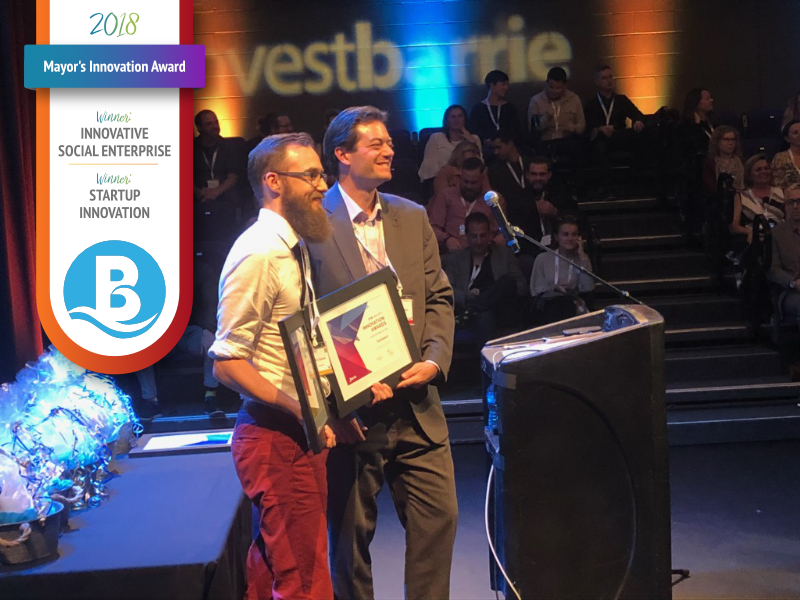 Founder and CEO, Liam Squires was called forward by Barrie’s Mayor Jeff Lehman, to receive the Startup Innovation Award and the Innovative Social Enterprise Award. 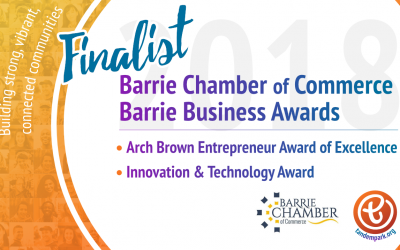 These awards were among five commissioned by Mayor Lehman in recognition of the forward thinking businesses that start, grow, and continue to thrive in Barrie. In total, 93 nominations were submitted for the five award categories, giving the judges the impossible task of selecting one for each category. Innovative Automation was selected as Innovative Business, while Georgian College was chosen as Innovative Institution. Robert Tigwell (Tandempark COO, LinkGreen CTO, and Owner/Operator of Gateway Software Solutions) was presented with the Shift Disturber Award, in recognition for the work he has done to enable companies like Tandempark to be innovative change makers in the community. We’re changing the way people change the world. So what do these awards mean to Tandempark? Being recognized as an innovator in our community is a tremendous honour but it’s also a warning. The road less travelled is avoided for valid reasons and those are typically the embarrassing, uncomfortable, or downright painful times an innovator has to endure. 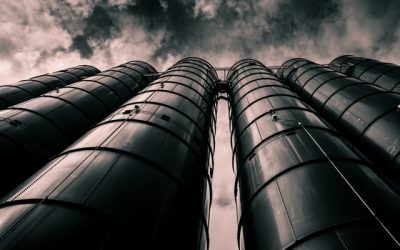 Our journey so far has been full of our share of bumps and detours along the way and we consider that a side effect of doing something truly new. For us, these awards validate the obstacles we’ve faced to date, but also serve as fair notice that, if we continue to do things right (and not just how everybody does it), we’re in for a lot more bumps and bruises along the way. But as Canadian Juno nominee musician/songwriter and professional speaker Peter Katz will say, it’s also a reminder that we need to “stay in it”. 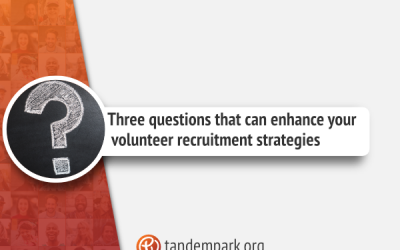 Liam Squires is the founder and CEO of Tandempark, an online civic engagement platform that helps organizations recruit, manage, schedule, and communicate with their volunteers, while making it easier than ever for people to discover and engage in meaningful and rewarding activities. 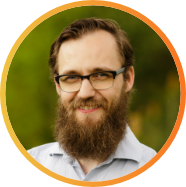 With a background in volunteerism, event management, education, and marketing, he has delivered talks and workshops on volunteer recruitment and engagement, entrepreneurship, and disruptive technology.